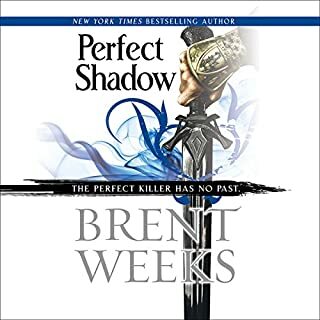 Discover the origins of Durzo Blint in this original novella set in the world of Brent Weeks' New York Times best-selling Night Angel trilogy.... "I got a bit of prophecy," the old assassin said. "Not enough to be useful, you know. Just glimpses. My wife dead, things like that to keep me up late at night. I had this vision that I was going to be killed by forty men, all at once. But now that you're here, I see they're all you. Durzo Blint." Logen Ninefingers might only have one more fight in him, but it’s going to be a big one. Battle rages across the North, the King of the Northmen still stands firm and there’s only one man who can top him. His oldest friend and his oldest enemy. It’s time for the Bloody-Nine to come home. With too many masters and too little time, Superior Glokta is fighting a different kind of war - a secret struggle in which no-one is safe and no-one can be trusted. His days with a sword are far behind him. It’s a good thing blackmail, threats, and torture still work well enough. Jezal dan Luthar has decided that winning glory is too painful, and turned his back on soldiering for a life with the woman he loves. But love can be painful too, and glory has a nasty habit of creeping up on someone. While the King of the Union lies on his death bed, the peasants revolt and the nobles scramble to steal his crown. No-one believes that the shadow of war is falling across the very heart of the Union. The First of the Magi has a plan to save the world. But there are risks. There is no risk more terrible, after all, than to break the First Law. such a brilliant end to the trilogy, leaves everything finished and unfinished, can't wait for the new trilogy. The reader really is class also . You have be realistic about these things. If you like happy endings where the hero gets the girl or the hobbit returns home to sit by the fire then you need to look elsewhere. However, if you have enjoyed the first two books of this trilogy then chances are you aren't looking for those kind of endings anyway. If you are wavering on reading book 3 because of the darkness of the first two then be warned that it only gets worse. It is likely something bad will happen to whatever character you are rooting for. Abercrombie is ruthless in the way he resolves his story arc and no character gets through unscathed. You will have to take comfort in the fact that you do get a full reveal of what's been going on behind the scenes from the beginning because you will find little comfort in what actually happens. Things go from bad to worse for most of the characters and even those who win big in the end are actually losers. 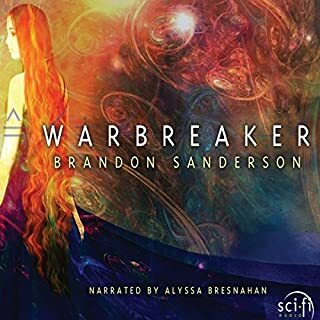 The big reveal didn’t make all the pieces fit together perfectly for me, but I am going with 5 stars anyway because I totally enjoyed the series and I wasn’t left guessing. When I step back and think about the series and the characters I still wonder why I like it. 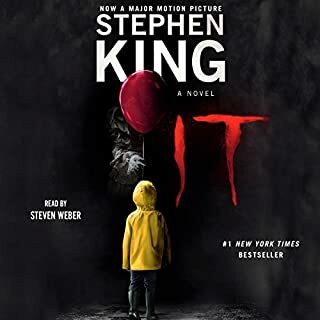 Each of the main characters has a dark side and does some truly evil things, female characters are treated pretty poorly by the author, and the world itself is pretty bleak and almost without hope. Then I think upon Steven Pacey’s reading and I wonder no longer. I enjoy almost every character in the series and it is simply because of the way Pacey reads them. They feel like old friends that I trust and therefore I am willing to look the other way when they do something I despise. 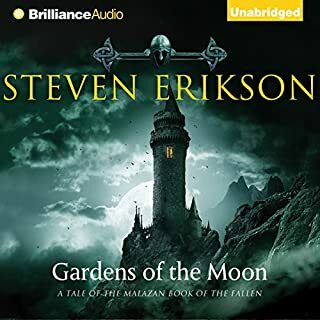 I have listened to a lot of audio books and I would now list Steven Pacey as one of my favorite narrators. So if you liked the first 2 books, bust out your antidepressants and get ready for more of the same. Although the ending does leave things open-ended enough for a continuation of the series, I am quite satisfied with the way all of the threads came together and don’t feel like I was left hanging. After all, you have to be realistic about these things. 25 sur 25 personne(s) ont trouvé cet avis utile. First, let me say I'm an avid reader of negative reviews. I want to find out what people don't like about a book when I bother to find out anything at all beforehand. 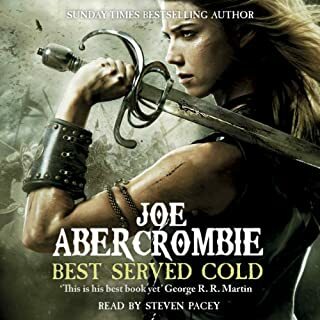 That having been said, most of the bad reviews of this brilliantly written and performed series are aimed directly at the ending Mr. Abercrombie gave us. And I must point out to anyone who might read my glowing review that we are warned a couple of times in this book that it's not going to be pretty. But that's the point of the whole thing, at least to my mind. Ardee says "No one gets what they deserve," or something close thereto, and that sums up the whole thing. I guess my point is that anybody that's looking for a fairy-tale ending should probably read a fairy-tale and leave off the grown-up fantasy. They'll just be disappointed. I also particularly enjoyed the very end. (BEGIN SPOILERS) I think dropping the Bloody Nine off a cliff into a river and leaving it there is an awesome way to come full circle and let the reader's mind fill in what happens next. I can just see him washing up somewhere--"Still alive..."--and charging into another several months of butchery to pay back Black Dow. Or maybe he'll head south and find Ferro. It's up to me and which aspect of Logen I want to root for how it all turns out. I'm thankful for that. In all, a superb work of fantasy by one of my new favorite authors. Thanks Joe. This third installment of The First Law trilogy is great. Loved it until the end. At that point, I was checking my iPhone to see if it somehow stopped playing before the end of the file. There was no ending... or, if that was the intended ending, it didn't do anything for me. I was literally thinking that I may have gotten a faulty download because it just seems to stop in mid-narration without ever gaining closure on the active storylines. If you could sum up Last Argument of Kings in three words, what would they be? Would you recommend Last Argument of Kings to your friends? Why or why not? If would probably recommend this book to anyone who enjoys the fantasy genre. 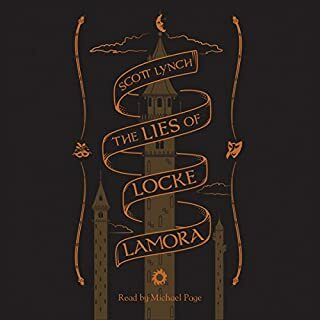 It is well-written - great characters, good foreshadowing, excellent plot twists - but I would be more likely to recommend it as an audiobook than as a novel to read. The battles in the book would have gotten quite tedious for me if I were reading, but I think I could enjoy Pacey reading the phone book to me. He is amazing. Have you listened to any of Steven Pacey’s other performances before? How does this one compare? I've only heard Steven Pacey on the 3 First Law novels, but he's got to be one of the best and I will look for other books he narrates. Pacey is perfection and the novel is well-written. However, I found the ending disappointing. Abercrombie wrote the First Law series as 3 books although none stands alone. And, then this last one leaves you hanging. That seems a bit unfair and sort of manipulative on the author's part. If I have spent the time and money to go through three entire books which constitute the whole series and some of the central characters are left hanging still...not quite right if you ask me. What made the experience of listening to Last Argument of Kings the most enjoyable? Joe has written one of the darkest fantasy stories I've read to date... the world is gritty and dark... its characters are gritty and dark... and the story is more of the same. It was fairly typical of modern storytelling (which cost him a star) but the characters were brilliant (which will likely have me listening again). Great character separation, delivered solid performances on some challenging 'damaged' characters. A great voice performance doesn't draw attention to itself... and this was a great performance. Don't listen to the 'ending critics'. The book ended perfectly fine. After reading the reviews I was expecting some horrible open ending (like HBO ends every series they've ever made)... and Joe ties this up as neatly and cleanly as this story demands (nearly as good as it could be). Of course this story demands a messy ending, so don't blame Joe for delivering... but all the primary plotlines are properly concluded, so have no fear and buy the series. 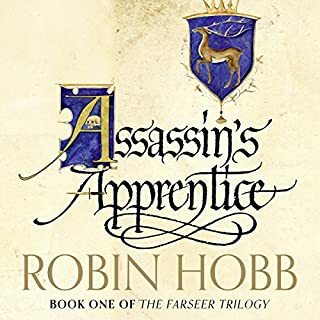 This third book in the trilogy is just as wonderfully written as the first two, with compelling character stories, intricate but entirely convincing plotting and a dark but often comic vision which will delight some readers and alienate others. The language is often coarse but always on point. The action is, by turns, gruesome, shocking and thrilling. It may or may not be your cup of absinthe, but if you read it you will not soon forget it. That said, I really felt let down by the lack of a satisfying ending. 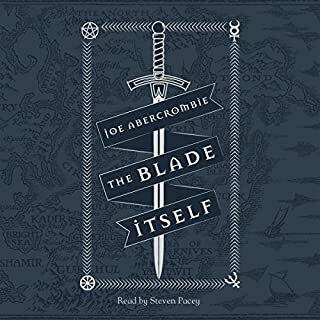 I realize that Abercrombie continues to write tales in the same world which share some of the same characters, but the threads which were left hanging, very much in his "nothing is neat or pretty" style, seemed too numerous and too frustrating to allow him to walk away from this as the concluding book of a trilogy. There was a distinct strain of cruelty in the decision to leave his readers hanging with the threads. Joe loves to stick it to his characters. Series leaves you with "Well..there must be another coming...there just has to be." But there is not. One of the other books mentions some of the characters and his latest book apparently mentions Black Dow, but in general you come out of this series feeling like you've been punched in the stomach. While I loved the books I don't think I'll be reading anything else of his. 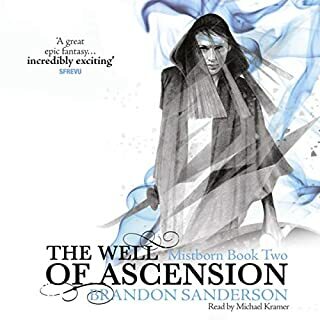 I was very pleased and enthralled with the majority of this series of books, but the ending was very anticlimactic and left a lot to be desired. The authored created an interesting world and intriguing characters and I have seen some crossover of these characters and this world in his other works, but the end of this particular series just left me disappointed and wanting something a little better. It almost seemed like after creating such a vivid story, he could not figure out a good way to end the series. 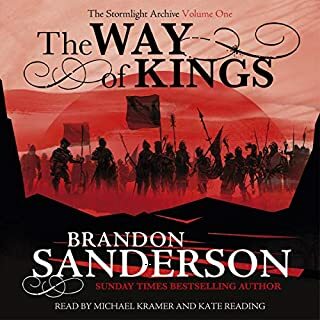 Overall I recommend the series as a good read (or listen as the case may be) for those who like fantasy with a dark edge. I commend Pacey for his voice characterizations. They are distinct and creative and obviously require a nimble tongue and imagination. This fits well with a character-driven novel. As to the story, my assessment is quite mixed. I understand that a lot of the appeal of this series is that it is dark and isn't concerned with the white night slaying the dragon and getting the girl. I appreciate the departure from the regular Joseph Campbellesque heroic fantasy architecture. This story relies heavily on character development and interaction. The plot is a solid fantasy story, not sweeping or epic, but solid. It is the characters that really draw you in. They are sympathetic and very human (also, once again, at least a partial credit to Pacey for voicing them so well). The characters are what really engage you about the story. This alone is not a problem, but when you finish the book and take stock of where the characters are and what they are doing, you realize that it is like nothing happened. They spent three books going on an adventure of a lifetime, being forced to work together under strenuous conditions, to grow together, only to renounce all they had learned and regress to square one. Logan begins a hated and feared monster. He discovers his second chance only to let it go and become the hated and feared monster once again. Jezal goes from self-centered jerk to budding altruist, back to egotist. Ferro goes from zealously chasing her revenge, living like a sub-human, to discovering true kindness and genuine human relations, but throws it away to chase revenge again. Glokta goes from being a self-loathing tool of a vain, powerful master, and for all his discovery of true friendship despite his deformity (and genuine loathsomeness), ends up being a self-loathing tool of a vain, powerful master. Even Bayaz, for all that his actions are challenged and appeals are made to his humanity and sense of honor, simply resets the clock to zero. The characters learn nothing. It's like watching a child grow to adolescence then age backwards to childhood again. And I understand the critique, that often in real life, people fail to learn thus making the characters more human. How true. But I would respond to this in two ways. First, even in real life, not all the characters experience the exact same positive and then negative growth. Second, If I were looking for real life, I'd pick up a newspaper. If I were looking for believable, I wouldn't be reading fantasy. Be warned. The ending to this series has seriously ticked of and bothered a lot of people. Personally, I love it. 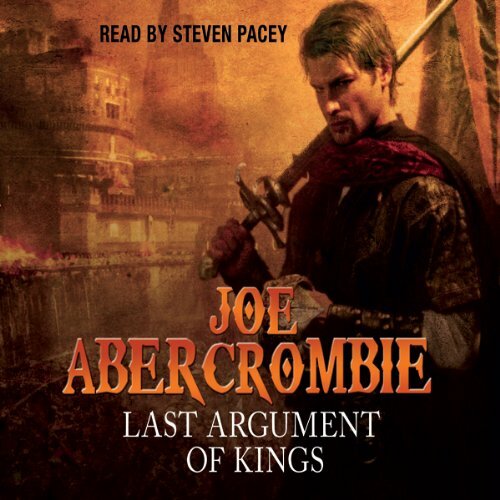 Say one thing for Joe Abercrombie, say he knows how to end a series. All the characters I've come to know and love from the series make a return, and some have slightly happier endings than others. From what some of the other reviews said, I was expecting some charactercide on the order of GRRM, but quiet honestly it is no where near that bad. As for the girt and darkness of this fantasy, it is there, but I find that at the same time there is quite a bit of hope and character growth. Few of the characters are inherently "evil" or "bad" and multiple times I found myself sympathetic for an antagonistic character. As for the ending, well it did end in a bit of a cliffhanger, but I have my suspicions as to what happened. Once again, Steven Pacey's narration was out of this world. I would listen to this man read the operating manual for a John Deere tractor. He does such a sublime job creating distinct voices for each of the characters. Wonderful wonderful job. Overall, this is more a tale about a place and time than it is about any one character or event. 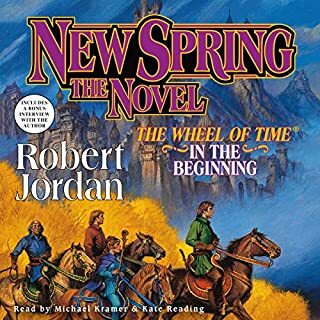 It is a worldbuilding extravaganza and it gives us some perfect examples of how characters live and act in this world. Just like in our own world, I got the sense that this was a conflict that didn't necessarily threaten the entire existence of the world, but rather was a conflict between two nations, that will soon pass into history. Steven Pacey is the best narrator I've ever heard to this day. Great work and many thanks to the team behind the First Law audiobooks. The trilogy comes slowly to an end with some unhappy surprises. Partly no fun to hear, but still gripping. This is by far the best narrator performance I've ever heard. Incredible how colourful Pacey brings all the different characters to life. The story is the best book of Abercrombie in my opinion. Very well developed and in the end all threads come together. I love the lack of heroes the biting sarcasm and the deep black humour. 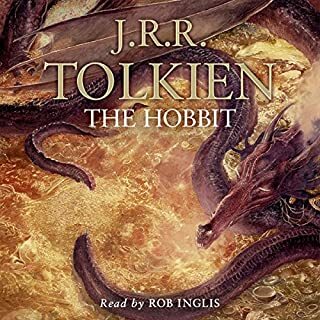 Everytime I'm out of a good audio book I fall back on this one and listen to it all over again. Not one minute wasted. Abercrombie finished the trilogy with a big bang. Fierce battles, fights full of blood and gore, vicious intrigues, treason and dark magic are the ingredients of the dramatic finale. The story is action packed and takes a couple of surprising twists and turns, but sometimes it felt wrong to me, too many unanswered questions and inconsistencies. The war in the North leads to dramatic scenes. Marshal West, Logan and his friends show incredible bravery in the fight against Bethod, king of the north. There is a culminating duel between Bethod's champion, the Feared and Logan, which will decide the outcome of the war, but after the fighting is done, the story fades away and leaves a lot of open ends. The war against the Gurkish invasion brings the Union close to extinction. Glokta pulls the strings behind the scene and uses all his skills and resources to safe the union, but in the end its fate is unclear as ever. The prophet and his man-eaters took a blow, but might return again. In general Abercrombie's heroes are a prickly lot. Logan is a great fighter, but his uncontrolled violence and rage make him a threat for enemy and friends alike. Bayaz becomes more and more sinister and his arrogance and lust for power become more and more obvious and his motives more and more dubious, the gap to the dark forces becomes very narrow. Ferro, the vicious female fighter simply fades out of the story. The little romance between Logan and her takes a very disappointing ending as well. Glokta is the only positive surprise. Regardless of his repulsive exterior and the cruelty, he shows as inquisitor, he becomes or is the only one, who wants to do the right thing. He even shows compassion and believe it or not, even love. The end of the trilogy left me a little bit frustrated. In some parts the closure seemed to be forced, in others simply unfinished. All in all, the last book is the weakest of the trilogy.